Foto de stock - Myanmar (ex Birmanie). Nyaung Shwe. Shan state. 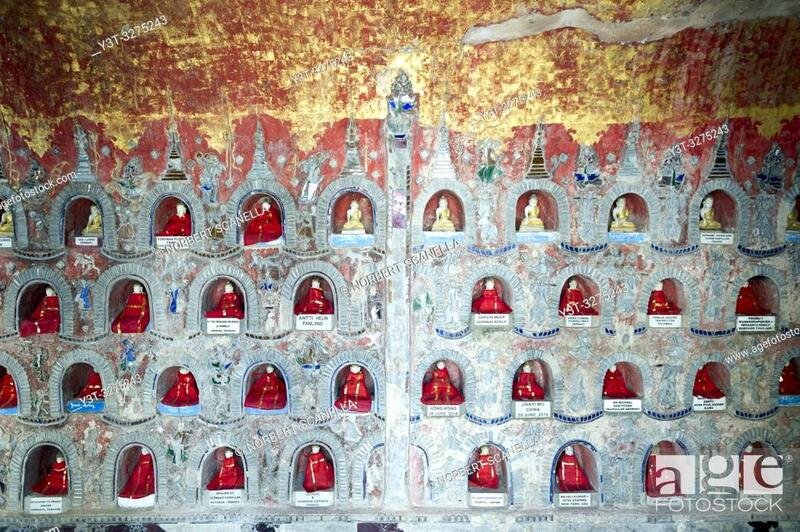 The Shwe Yan Pyay monastery. (Or ''The palace of the mirrors'') designed in wood in 1907 near Inle Lake. Niches with statues of Buddhas.